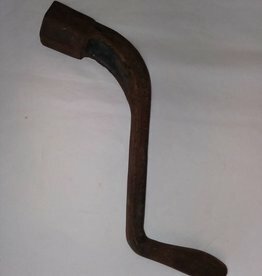 1920's, Cast iron tractor crank, marked Sterling S 2034, also 84S611. Triangle shape for crank to attach to. A little surface rust. 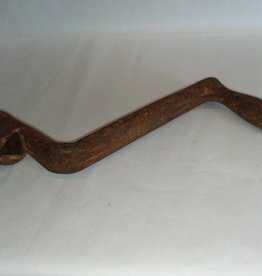 10x11"
L.1920's, Cast iron tractor crank, marked N or Z. Triangle shaped opening for tractor crank shaft. Surface rust but in very good condition. 10"x8"